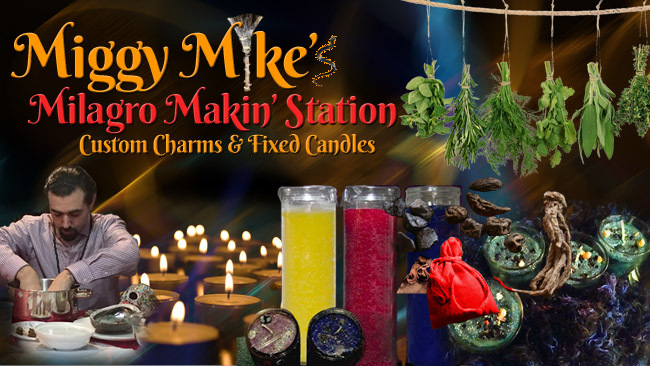 Custom mojo bags and fixed candles, prepared with herbs, oils and crystals, prayed over for conditions and intentions. $30 for consultation and accompanying fixed candle or mojo bag. Available by appointment or walk in on Sundays between 1pm and 7pm. Call 831-423-5477 to schedule your appointment. 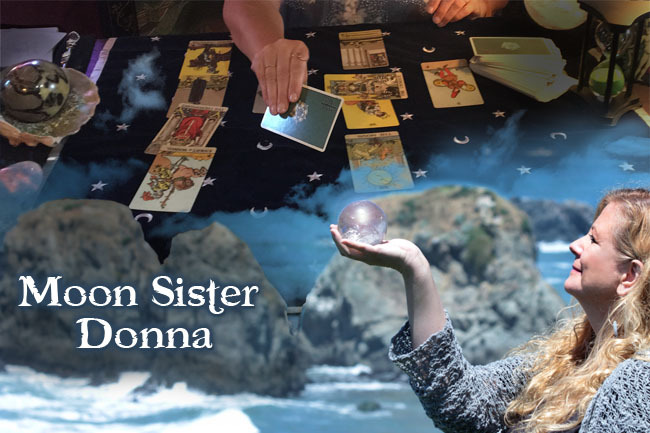 Born on the full moon, Moon Sister Donna has been blessed by the gift of second sight since childhood. 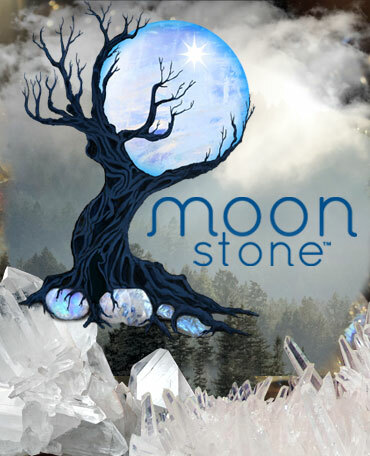 Reserve a psychic experience with Donna Moon Sister and become aware of your true path. Available the first Saturday of every month at the Serpent's Kiss. Call 831-423-5477 to schedule your appointment. 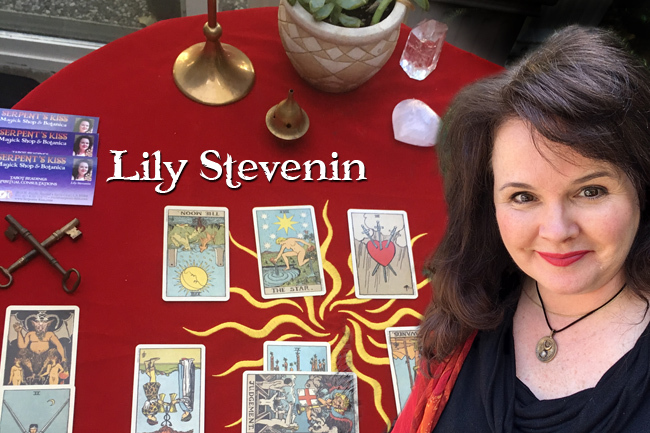 Lily Stevenin is a Ritual Leader, Medical Intuitive, and Professional Psychic Tarot Reader. Lily is a member of BOTA School of Western Mysticism, Orion Foxwood’s Faery Seership program and a 2nd year student in the Anderson Feri tradition. A licensed Nurse, she maintains Lily’s Hands, a private energy medicine practice. She shares her broad knowledge of magick and metaphysical arts as a facilitator of Spellcraft Saturday each 4th Saturday of the month from 4-6 PM at Serpent’s Kiss in Santa Cruz. Available for readings on second and fourth Saturdays at the Serpent's Kiss, or over the phone by appointment. Call 831-423-5477 to schedule your appointment. 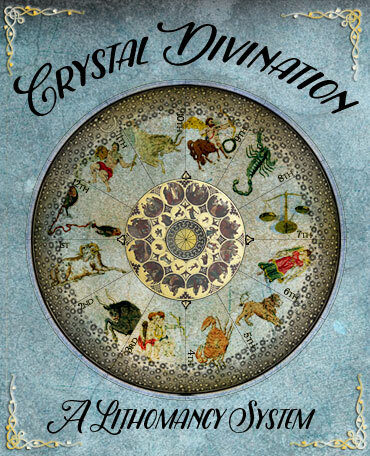 Angus McMahan has been reading tarot for over 25 years. He is a gregarious solitary who can usually be found playing strange drums strangely at various community seed rituals. Angus is a lego sculptor, a cross-country marcher, a crop circle inspiration and a writer of no great renown. 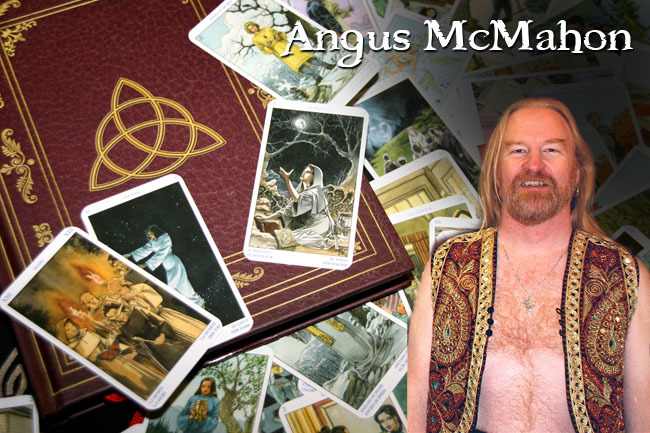 Angus is available for readings on Sundays between 1pm-7pm at the Serpent's Kiss. Call 831-423-5477 to schedule your appointment.